When potential customers decide that they might want to work with us, their first point of contact is our sales department. It's there that they get their first impression of what sort of company we are. 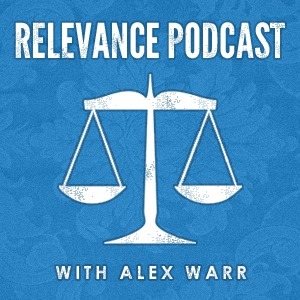 So it has been clear to me for quite some time that we needed to have Alex Warr, the head of our sales team, on the show to talk about what sales is like at Relevance. Along the way, we also managed to talk about babysitting, gaming, law school, and a few other things besides. Enjoy the episode! Alex chose "Staying Alive" by The Bee Gees as the intro, and "Ziggy Stardust" by David Bowie to end the show.